As what was the largest generation in this country, the “Baby Boomers”, start to get up there in age, what we currently know as Senior Care will start to evolve in just how seniors will be administered care over the coming years. One thing we do know about today’s seniors is that they will insist on their input about where they will reside and exactly what kind of environment they will live in. Another thing that this new generation of retirees will certainly demand is a much higher level of services that these Nevada Assisted & Independent Living Facilities, Skilled & Intermediate Care Facilities, Retirement Apartments & Continuing Care Retirement currently provide, and with their tech skills much more advanced than their parents, they will require top-tier technological services. Whether your Las Vegas/Clark County, NV company is conducting business in the area of an Assisted Living Facility, Personal Care Homes, Intermediate Care Facility, Resident Care Facility, Independent Living Facility, Continuing Care Retirement Community Facility, or Skilled Nursing Facility, choosing the proper Nevada business insurance program to fit your particular facility could mean the difference of surviving a lawsuit or claim or closing your business due to these actions. Here, at PJO Insurance Brokerage in Nevada, we have access to various insurance carriers who offer coverage for Las Vegas/Clark County, NV General Liability Insurance on an occurrence or claims made basis and coverage for Las Vegas Professional Liability Insurance on a claims made basis. In addition, PJO Insurance Brokerage has carriers who offer coverage for physical/sexual abuse, punitive damages coverage (where allowable by law), defense costs outside or inside the policy limits, and evacuation expense reimbursement coverage. Also, there are first dollar coverage (no deductible or SIR) or higher deductible/SIR options available to your company. Other coverages that your Las Vegas/Clark County, NV company should consider are: resident property coverage, coverage for barbers and beauticians, coverage for the medical director, employee benefits liability coverage, and coverage for violation of residents’ rights. If your company requires additional liability coverage, we have several markets that offer umbrella coverage up to $25,000,000. At PJO Insurance Brokerage, we also offer additional coverages that your Las Vegas/Clark County, NV company may want to consider as part of your overall insurance program including: Flood Coverage, Computer Fraud, Forgery Coverage, Employment-related Practices, Bailees’ Customers Goods, Earthquake Coverage, Fine Arts, and Directors & Officers Liability, to name just a few. 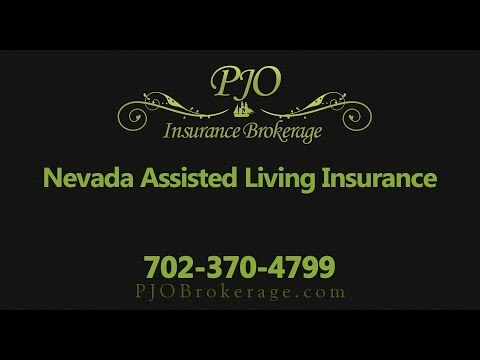 If your Las Vegas/Clark County, NV Assisted Living Facility, Personal Care Home, Intermediate Care Facility, Resident Care Facility, Independent Living Facility, Continuing Care Retirement Community Facility, or Skilled Nursing Facility would be interested in discussing the various insurance programs available, please call the experienced and professional brokers at PJO Insurance Brokerage.